I went down to Roanoke this weekend for the birthday-Mother’s-Day-baking-strawberrying-and-jam-making extravaganza. 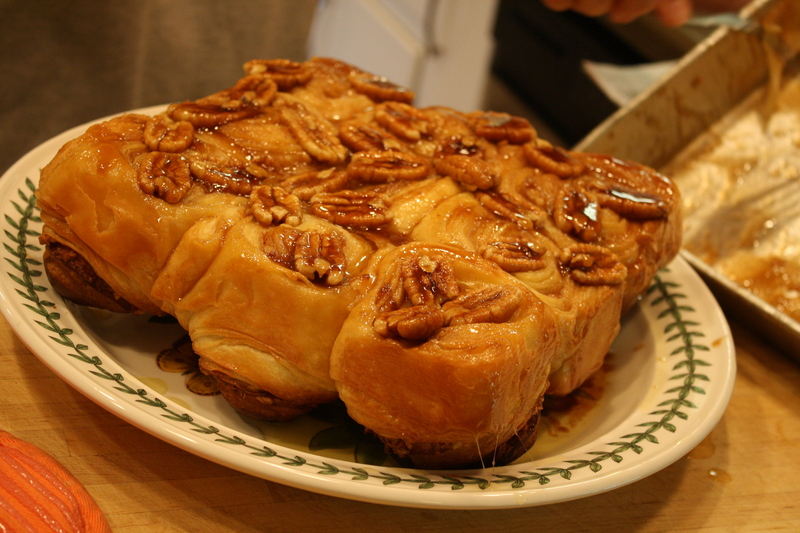 My mom and I thought we would have a pretty packed schedule, but fortunately, the pecan sticky buns didn’t require as much active time as I had thought. They did require a lot of butter. More than one entire box of butter. Five sticks of fat. 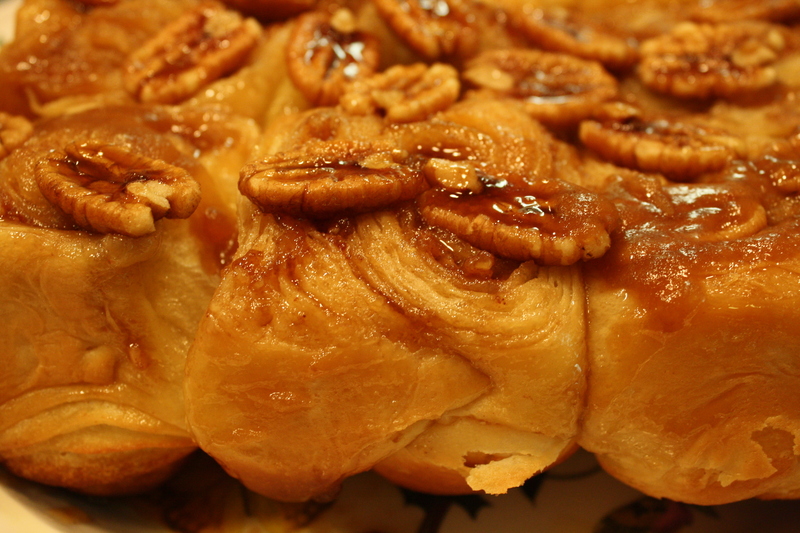 But man, that fat sure did make these sticky buns extremely flaky and rich. Like a biscuit, the thin layers peeled apart. How’d we get them to do that? Well. First you make a brioche, a French dough filled with butter and eggs. My mom wrote out a schedule so that we could keep on track and serve the rolls Sunday afternoon. We started the brioche Saturday afternoon, after picking three gallons of berries. 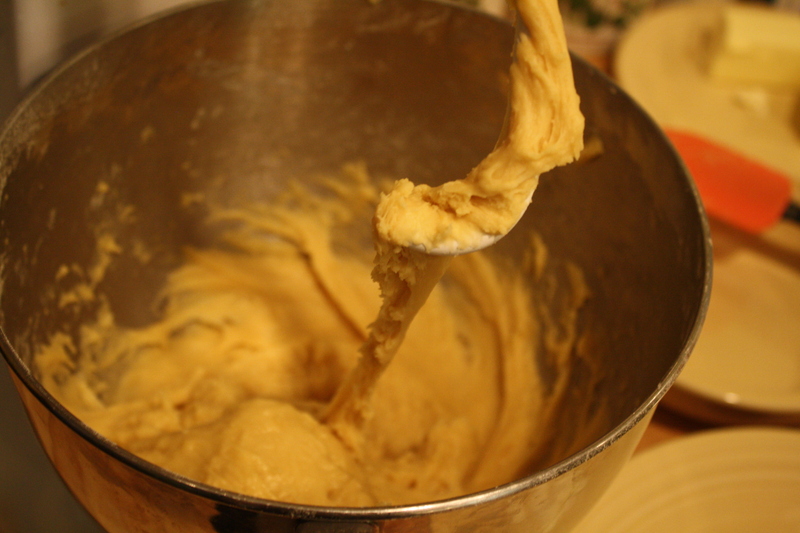 Making a a sponge came first–that’s simply a mixture of flour, an egg, warm milk and yeast. The yeast gets working hard and makes the flour “erupt.” To that, my mom added the rest of the dough ingredients, including butter, eggs and more flour. 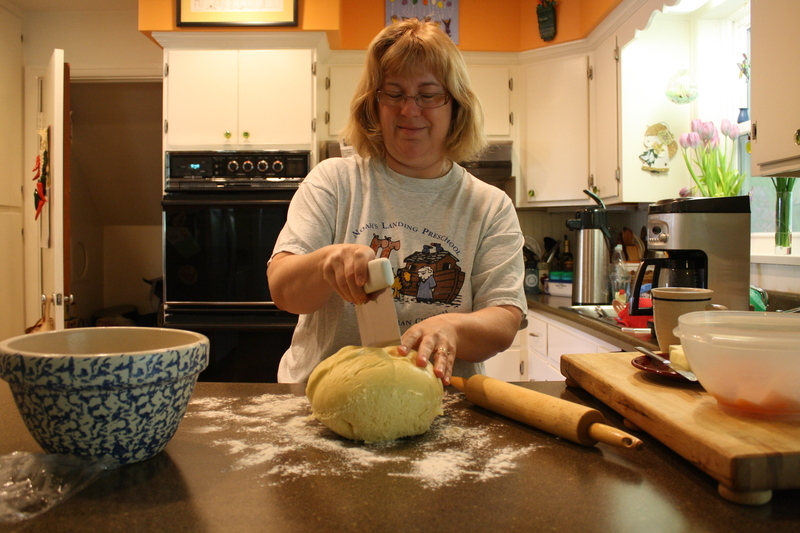 Her sturdy Kitchen Aid was able to get the job done, mixing up the dough for what seemed like forever (really 15 minutes), without even heating up. 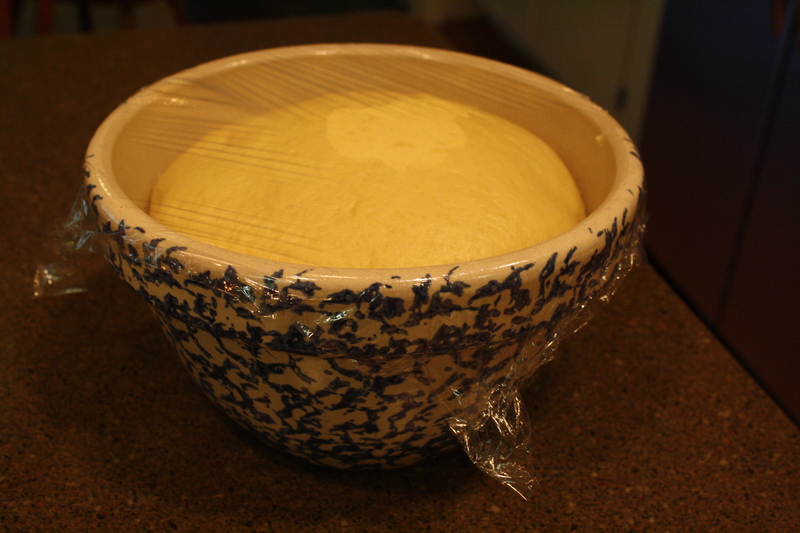 Then we let it rise, deflate, then rise again overnight in the fridge. Day 2, before Mother’s Day oatmeal pancakes, my mom and I made the flaky layers. 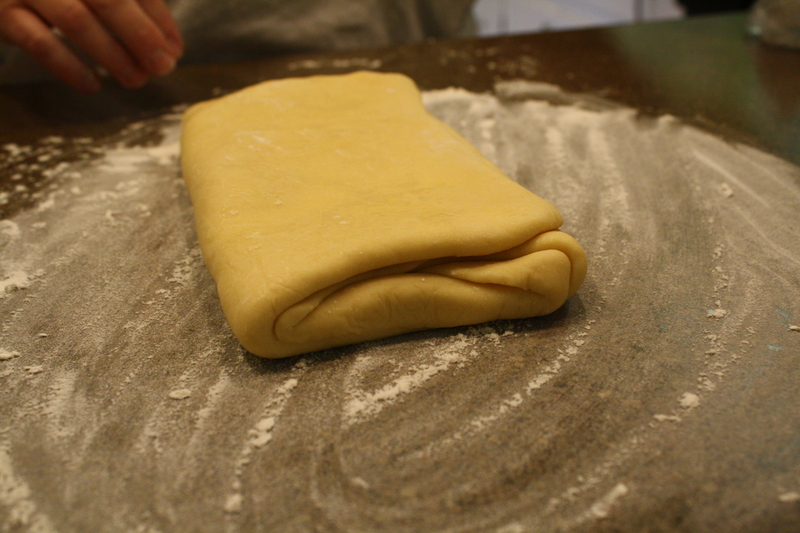 For each half of the dough, she rolled it out, spread on more butter, folded it up, rolled it again, and folded it again. 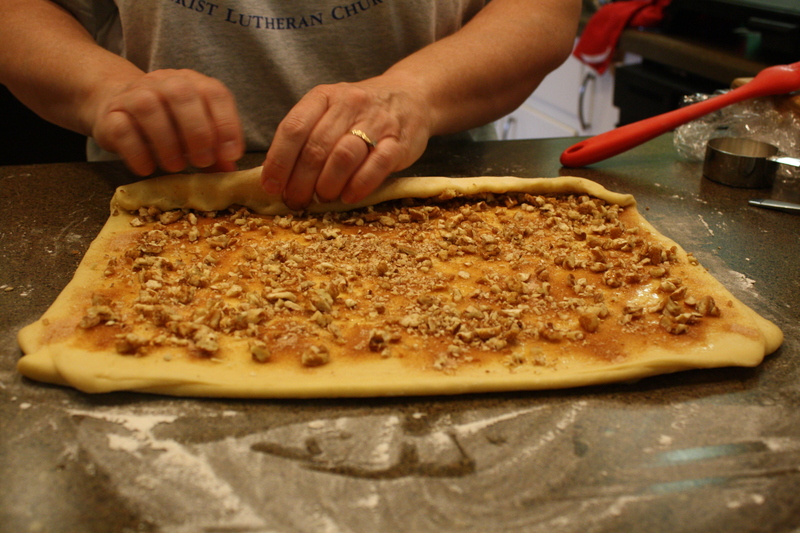 After chilling, those became two logs rolled up with cinnamon, sugar and pecans inside. 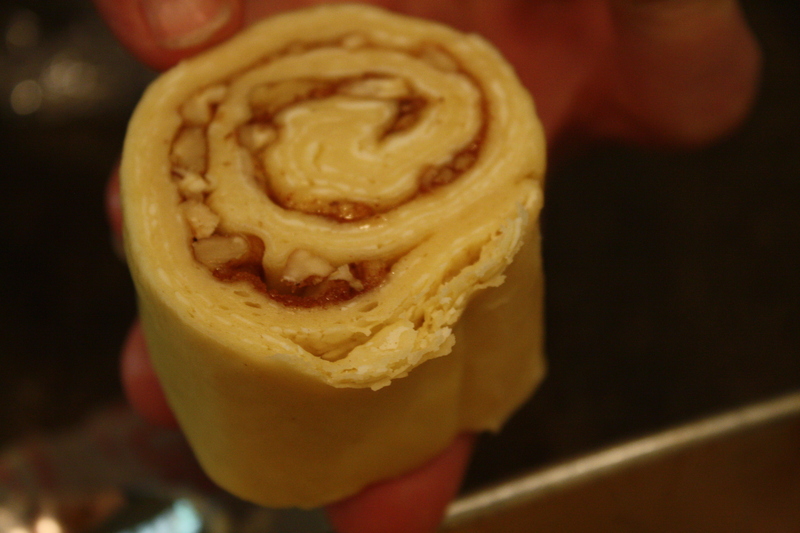 After chilling again, we sliced one log into nine buns, and placed them in a pan with more butter and brown sugar. Once they baked, my mom immediately flipped the pan over so that they’d have a caramely topping. Mmmmm!!! We took the plate over to my grandparents house for an afternoon snack. And they sure hit the spot. Unlike some rolls, they weren’t too sweet, but somehow had just the right amount of decadence, with the sticky caramel on top and the insides gently filled with brown sugar and nuts. 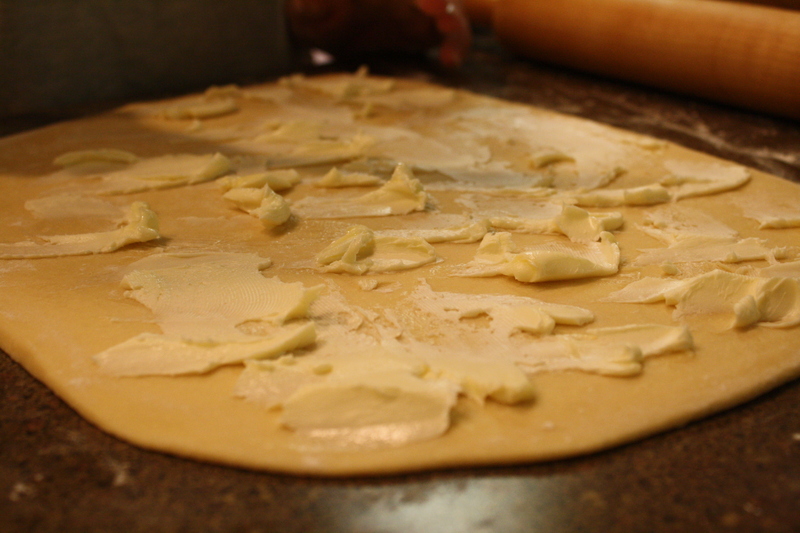 It was exciting to pull apart the layers and come upon one with the filling. And I caught my grandpa picking off an extra pecan from the top of a leftover roll. 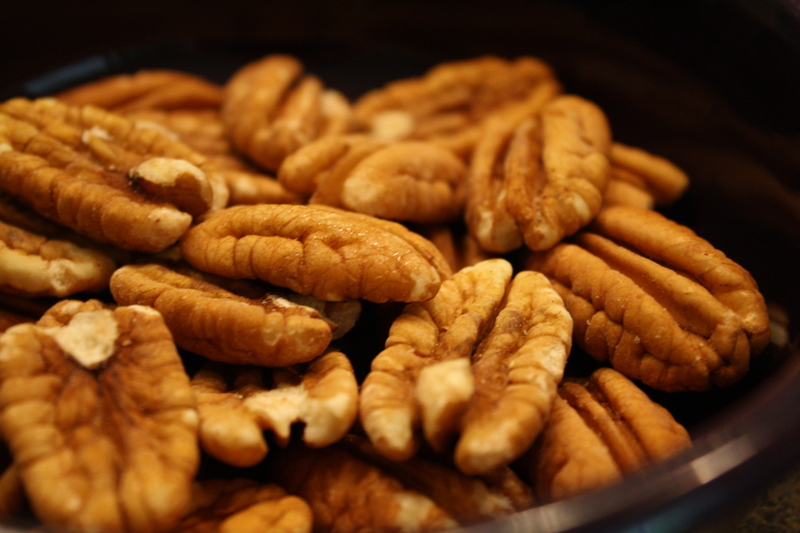 (That’s exactly what I do with pecan pie, every time I walk through the kitchen I just pick out a gooey pecan.) My dad said they were right on par with my mom’s Christmas cinnamon rolls, which she only makes once a year. Different, but just as wonderful. Our vote was that we’d make them again. My sister is lucky: The second roll of buns is waiting in the freezer, ready to be baked up the next time she’s home. ‹ PreviousBring a dish, it’s a wedding! How nice that you did this with your mom on Mother’s Day weekend! Great job! I agree, I would most definitely make these again. What a nice project to do with your mom (and to share).